A new age of astronomy is dawning, thanks to an unprecedented building boom of big telescopes that are expected to shed light on dark energy, distant solar systems and other mysteries of the universe. So, let’s take a closer took at what these billion-dollar telescopes can do for astronomy in the decades to come. The Thirty Meter Telescope‘s name speaks for itself. Its mirror will be triple the size of any telescope in existence today, letting astronomers capture light from farther and fainter objects than ever before. 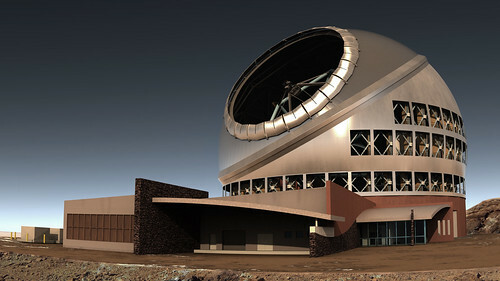 It will be the world’s most advanced and capable ground-based optical, near-infrared, and mid-infrared observatory. It will integrate the latest innovations in precisions control, segmented mirror design, and adaptive optics.